Clem Alford was born in Glasgow, Scotland, where he studied the Scottish national instrument, the bagpipes. He was introduced to the sound of the sitar in the mid sixties. He travelled to India and studied under Pandit Sachindranath Saha, principal of the Midnapore Music College in West Bengal. He secured the diploma of Sangeet Sudhakar for expertise in sitar from Surer Maya Sangit Samaj of Calcutta in 1970. Clem's first major recital was in Bombay in november 1970, an event which the Times of India flashed in its headlines as "American's astounding skill, ease in sitar" (a slight case of mistaken nationality!). It was this sitar recital at the celebrated Kal-ke Kalakar Sammelan of Bombay which won Clem the rich accolade of 'Sur Mani' (a jewel of notes). 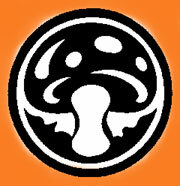 Since then Clem has performed not only in the West but also in India, Japan and other Asian countries. He has been hailed by many experts and the press as the best western sitar player of today. An example of this recognition was his participation in the concert held in 1975 in the Royal Albert Hall, in which he was presented along with the leading Indian vocalist Laxmi Shankar. Clem has been associated with the famous John Williams (classical guitar) John Mayer (composer/ Indo Jazz Fusions) Maurice Jarre (film scores) John Dankworth (jazz) Hemmant Kunar (vocalist) and a host of other striking personalities in the world of music. He has recorded for EMI, amongst other labels, and has authored a very helpful book on how to play the sitar published by EMI. 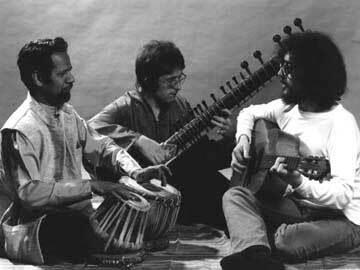 In 1970 he formed a group named Sargam with two other musicians - Jim Moyes (guitar) and Keshav Sathe (tabla) - and this innovative trio (see picture above) recorded an album inappropriately released as Pop Explosion Sitar Style! under the band name Sagram, mispelt by the Windmill recording company, who issued the recording without the band's consent or knowledge. This LP that has since become highly collectable. 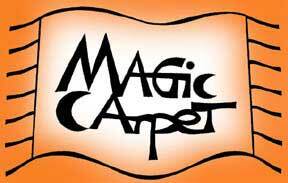 Then, in 1971 Alisha Sufit joined the trio and the Magic Carpet band was formed; the album Magic Carpet was recorded in the winter of 1971-1972, later released on Mushroom Records (MR20). Clem has composed music for films, including the government of India's 'Dateline Bangladesh' and 'Staying On', the television film based on the novel by Paul Scott. He also played sitar for the TV series 'Jewel in the Crown', and the film 'Foreign Body' starring Victor Banerjee. Clem was music principal and sitar teacher at the Bharatiya Vidya Bhavan (London) from 1972 - 1976 and he was visiting lecturer at C.C.A.T. in Cambridge from 1985 - 1988, working with contemporary dancer Darshan Singh Buller. Clem composed the music for the dance 'Under the Same Sun'. In 1990 Clem successfully toured the former Soviet Union and Czechoslovakia, performing music especially composed for the dance 'Interlock', again choreographed by Darshan Singh Buller. Clem has also worked on music for the Race Apart dance company, as well as composing and performing other compositions. In 1974 he recorded the album Mirror Image, an extraordinary mix of experimental Anglo-Indian and classical Indian music. The opening title track features Alan Branscombe on piano and Fender electric piano and harpsichord, with award winning Amancio D'Silva on guitar, Toni Campo on bass guitar and Harold Fisher on drums. This album has since been re-issued with bonus tracks featuring Dave Heath (flute) and Mick Ripsher (tabla) on Magic Carpet Records. In 1996, in collaboration with Magic Carpet's singer/songwriter, Alisha Sufit, Clem recorded the album Once Moor (subtitle Magic Carpet II) also released on the Magic Carpet Records label, catalogue Nos MC1004CD and MC1004LP. The LP version was pressed by EMI on superb heavy-weight vinyl. Clem continues to work as performer, innovative composer and teacher.